Two wild elephants were found dead in the State during the last 24 hours. While carcass of a wild elephant was recovered from Deepor Bill near Rani on the city outskirts, body of another wild jumbo was found at Chatai in Bhalukpug in Sonitpur district. Sources said the dead elephant was found stuck in a mud pool at Deepor beel few days back. Locals alleged the elephant died due to negligence of the Forest department. 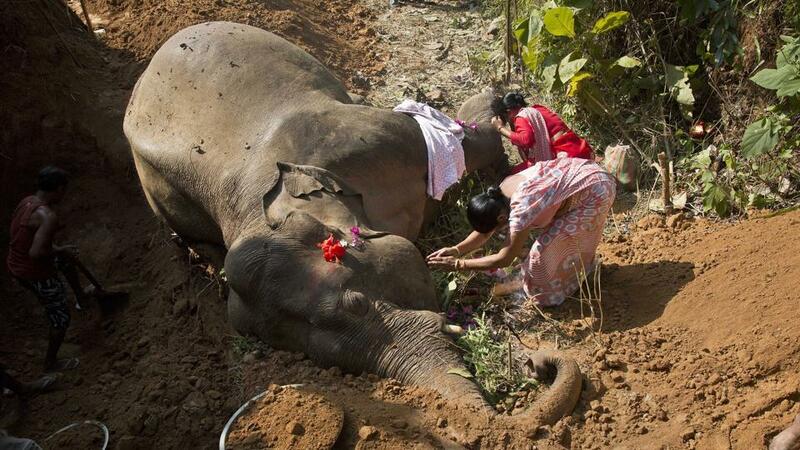 According to forest officials the elephant died at Bhalukpung was sick for last few days.